World Trade Organization Director-General Roberto Azevêdo will speak at a National Press Club Speakers luncheon on Friday, Oct. 7. Please call Alan Schlaifer at 301-365-8999 if you'd to be considered to attend the reception (if there is one) from 12:30-1:00 pm with the speaker. (He may only bring 2 guests, so early sign up helps). Reservations: $38/person for current Wharton Club members and their guests only. You must reserve in advance on our site. We have only a limited number of seats, so Members may purchase seats only for themselves and one guest, if desired. 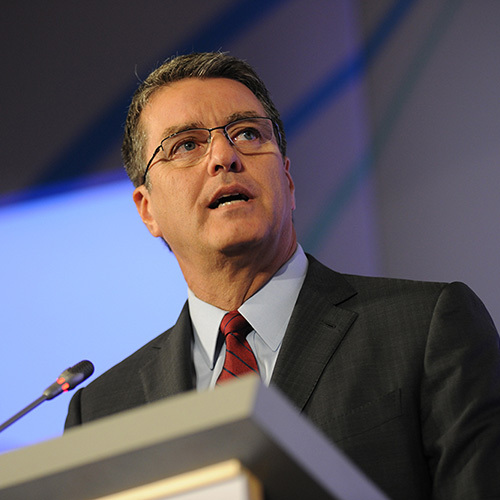 Roberto Azevêdo is the sixth Director-General of the WTO. His appointment took effect on 1 September 2013 for a four-year term. During his time as Director-General, Ambassador Azevêdo has overseen two successful WTO Ministerial Conferences – in Bali in 2013 and Nairobi in 2015 – which delivered a series of significant outcomes in support of growth and development. The package of outcomes delivered in Bali contained a range of decisions on agriculture issues, support for least developed countries and the Trade Facilitation Agreement, which was the first multilateral agreement delivered by the WTO. The Nairobi package contained decisions to support least-developed countries to integrate into the global economy, some specific measures on cotton, and a range of decisions on agriculture relating to a Special Safeguard Mechanism for Developing Country Members, Public Stockholding for Food Security Purposes, and Export Competition. The latter, which included the elimination of agricultural export subsidies, is the most important reform of agriculture trade since the creation of the WTO in 1995. The Nairobi conference also saw the conclusion of negotiations to expand the Information Technology Agreement, eliminating tariffs on a range of products in this sector. During his tenure Ambassador Azevêdo has prioritised efforts to increase the trading capacity of developing and least-developed countries. Along with advances in negotiations, he hosted the 5th Global Review of Aid for Trade in 2015, supported the renewal of the Enhanced Integrated Framework into its second phase, which began in January 2016, and created the Trade Facilitation Agreement Facility to ensure that developing and least-developed countries can access the support they need to implement the Agreement. As Director-General, Ambassador Azevêdo has also overseen the expansion of the WTO membership, with the accessions of Yemen, Seychelles, Kazakhstan, Liberia and Afghanistan. In addition, he has taken steps to strengthen the WTO Secretariat, putting in place a range of reforms to improve the service provided for WTO Members (while also meeting budgetary goals set by Members), including by increasing resources in the dispute settlement system. 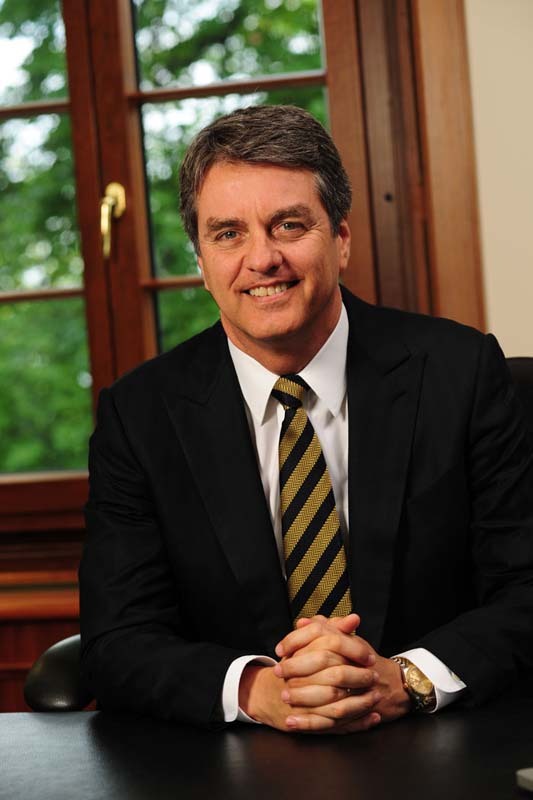 Ambassador Azevêdo holds a degree in electrical engineering from the University of Brasilia. He subsequently attended the 'Instituto Rio Branco', the graduate school of diplomacy run by the Brazilian Ministry of Foreign Relations. He joined the Brazilian Foreign Service in 1984. Roberto Azevêdo served on WTO dispute settlement panels and, in 2001, he was named head of the Brazilian Foreign Ministry’s Dispute Settlement Unit where he remained until 2005. During his tenure he acted as chief litigator in many disputes at the WTO. From 2006 to 2008 he was Vice-Minister for Economic and Technological Affairs at the Foreign Ministry in Brasilia. In that capacity he was also Brazil's chief trade negotiator for the Doha Round and other WTO issues. In 2008 he was appointed Permanent Representative of Brazil to the WTO and other International Economic Organisations in Geneva. He is married to Ambassador Maria Azevêdo. They have two daughters and two granddaughters.